Born in 1959 in Antsla, Estonia, Indrek Patte loved the sound of English Rock groups since the age of 7.However he had to wait for over 10 years to write his own material within the comfort of a band, forming Linnu Tee in late-70's.The 80's were prooved to be quite busy, besides his activity with Linnu Tee he was also involved briefly in the core of legendary Estonian Rockers Ruja, while working also as a recording engineer and producer at the Matrix Studios in Tallinn.He also wrote music for films, but his love for Prog Rock led him to the recordings of his first true Prog album in 2011, ''Celebration'', released on the local Strangiato label.He played keyboards, guitars and sung in the album, helped by a line-up of 10 musicians, among them his long-time bandmate on Linnu Tee, guitarist Raul Jaanson. 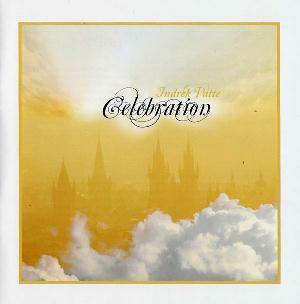 At the time Patte had declared himself as a Christian, so lyrically ''Celebration'' deals with religious themes and lyrics.Soundwise though this was a huge surprise, an unknown Estonian multi-instrumentalist produced a work along the best lines of NEAL MORSE and symphonic PENDRAGON, propelled by a tremendous production and an excellent supporting band.Patte's music is at least fascinating.His true love for 70's Prog Rock and his updated services with the current Rock scene led to an amazing set of tracks within the Neo/Symphonic Prog territory, containing impressive melodies, romantic passges, hard-hitting guitar moves and huge symphonic waves.He hadn't become the lead singer of Ruja by accident, his voice is flawless, warm and powerful when needed, while his composing skills are awesome.The tracks are not very long, but they are filled with superb keyboard flashing, beautiful guitar lines and elegant piano interludes, while he never forgets to rock a bit at moments.SPOCK'S BEARD's diversity also come to mind during the listening, although Patte's instrumentation lacks a vintage depth and shows a tendency towards a more modern keyboard-based sound.And yes, there are also some great tempo changes, electroacoustic fanfares and complex themes to be found, this was defibitely an unexpected gift from the Baltic lands. Pretty awesome Neo/Symphonic Prog, created by an overlooked but talented composer.On par with the works of SPOCK'S BEARD, IQ, PENDRAGON, CHRIS and NEAL MORSE.Striking melodies, quirky guitar chops, fascinating keyboard lines.A great and highly recommended package of elaborate progressive offerings.